Except for B1 and B3, I don't think any of these mixes have ever been given a proper CD release. That needs to change!! Track A3 ended up on here but it's a poor vinyl rip, and A1 ended up on here but it's an edit. 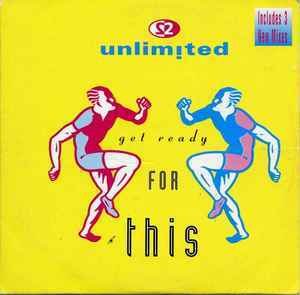 Today exactly 20 years since 1st single "Get Ready For This" was released! From this date began the story of 2Unlimited. Twinned With The "Shell Suit"